If you're a new DJ on the scene you will need to get DJ gigs to build your fanbase and experience, and of course to have fun! 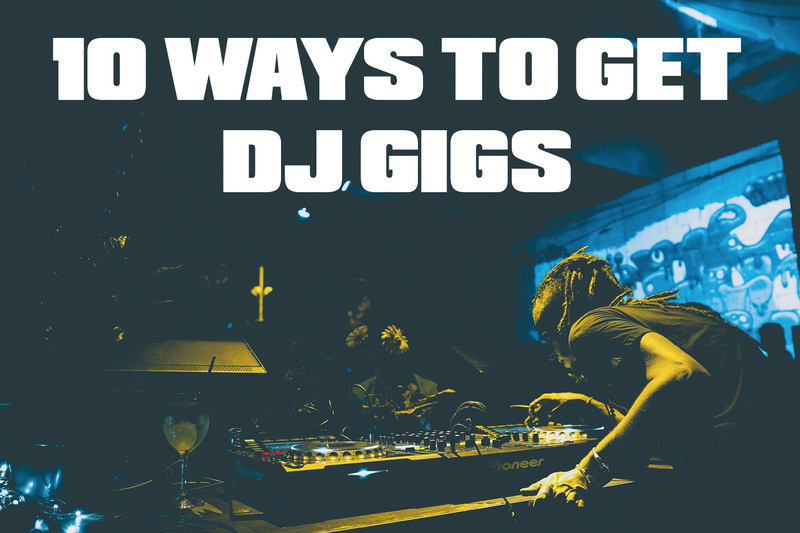 Here are ten ways you can get DJ gigs. Come to DJ Gym! We're stating the obvious here, of course the easiest way to get get DJ gigs at top clubs and festivals is to join DJ Gym and our partner London Sound Academy. We organise DJ gigs for all our graduates at famous clubs including Ministry of Sound in London. We also run a yearly tour in Ibiza! For more information and how to join us, just contact us. Create a mixtape and directly approach promoters online or in person. Don't expect the phone to start ringing because you have posted a mixtape online. You'll need to promote the mix and make sure you email it to the right promoters along with a decent proposal and sales pitch for why you're the best DJ for the gig. What makes you special? If you're approaching people in real life you can always take your mixtape on a USB or have information on a business card. Get a DJ agent. A DJ agent is someone who organises DJ gigs for you and takes a percentage to cover their costs. DJ agents will only sign you if you're already getting gigs that they can earn a percentage of, this means you need to be famous for one reason or another. Perhaps you're a reality TV celebrity or you're famous for another career like being in a band of a sports personality. Agents are right for these kinds of DJs. There are also agents for party and wedding DJs who hire DJs who will go and play for events where they do not have much choice over the music policy, they just play what they client wants, often commercial chart music. Create your own party. One of the best ways for newbie DJs to break into a scene is to create their own event. Make sure yous start small and don't risk too much money, get your friends involved and work together to start something special. Use the event as a vehicle to showcase your own DJ talents and to network with other DJs and promoters. Work with a friend. Perhaps you have a DJ friend who has some contacts, why don't you suggest you work together on some projects and form a DJ duo. Two heads are always better than one. Become a viral DJ online. If you need to be a name to get DJ gigs why not start online, it's cheap and easy and you can do it from home! You can live stream your DJ sets, create youtube videos and cultivate a fan base. If you become a big success online that will soon translate into real life opportunities. Become a sub-promoter. Many larger clubs and promoters will host events in multi-room venues. You can often run a room and earn a percentage of your ticket sales. This is a great way to play bigger venues and work you way up. Gig swap for international opportunities. If you want to get some international DJ gigs under your belt you can team up with a DJ from another country. A gig swap is where they come and play at a gig you organise in return for you to play at a gig they organise. This is a win-win situation and you don't normally to exchange money, each side pays their own costs. It's a pure promotional opportunity and a chance to build experience playing for different crowds on the international scene. I really like this trick because it's a great way to see the world. Become a record producer. It's no secret that the DJs getting the best paid work are artists in their own right. If you want to make it as a career DJ you need to learn how to produce, and release hit records. Start producing as soon as you can, take it one step at a time and dedicate a few hours a week to the cause. For more information on our production courses click here. Envelope yourself in the scene. If you want to get gigs the best way is to become friends with the promoters. If you support as many events and nights as you can and get talking to the right people you will be the first person they turn to. Support your local scenes and dedicate yourself to socialising and the gigs will start coming your way. Don't sit on the couch, get onto the dance floor. Check out our other DJ blogs for more tips and tricks to help you with your new DJ career.